If you do not see your realm on the Admin Console or are receiving this error message when attempting to access your web page, it is likely due to your SecureAuth Realm not being properly configured or placed in your IIS Manager. 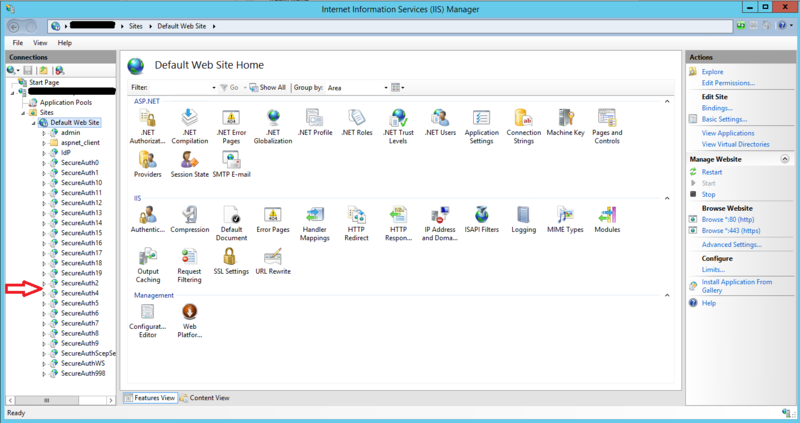 Open up your IIS Manager and check to see if the realm is missing. 1. Right click on "Default Web Site"
3. Put the name of your realm (Ex: SecureAuth3) and be sure to change the Application Pool to .NET v4.5. Congratulations! Your realm has been added back into your IIS Manager.